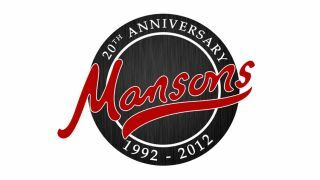 Tickets for Mansons' Guitar Show, which is part of the Exeter guitar shop's 20th anniversary celebrations, are on sale now. This year's show, which is taking place at the Exeter Corn Exchange on 17 and 18 November, will feature artists including Mikey D from Skindred, Martin Barre and Pat O'May of Martin Barre's New Day project, and the Marshall House Band. Many major brands will also be in attendance, including Fender, Mark Bass, Faith Guitars, Orange, Rotosound, Freshman, Yamaha and Manson's own manufacturing arm, Manson Guitar Works. For more information on the show, including ticketing information, visit Mansons official site, or check out its Facebook page.